Alexie, Sherman. The Absolutely True Diary of a Part-Time Indian. Illustrated by Ellen Forney. New York: Little, Brown & Co., 2007. Plot: Arnold Spirit, aka Junior, has always been picked on. Small-framed, with big hands and feet, a lisp and stutter due to health problems when he was born, he is an easy target on the Spokane Indian reservation where he lives in Wellpinit, Washington. Luckily, his best friend, Rowdy, serves as his protector. Or at least he does until Junior decides to go to an all-white school twenty-two miles off of the reservation. Now Rowdy seems to hate Junior as much as everyone else, and Junior faces a whole new set of racist taunts at school. Torn between his identity as an Indian and his desire to make something of himself in a broader world, Junior just does not seem to fit in anywhere. Setting: Present day on the Spokane Indian reservation in Wellpinit, Washington. Literary Quality: Simultaneously poignant and laugh-out-loud funny, this is an outstanding piece of fiction that should be read by young adults and adults alike. Certain to raise some eyebrows with frank references to masturbation, sexual arousal, domestic (and non-domestic) violence and racial conflict, Junior’s brazen and humorous narrative voice will speak to many teens who negotiate societal “norms” and rules of acceptance. Forney’s line-drawn illustrations, which stand in for Junior’s own as he is an aspiring cartoonist, are the perfect complement and add to both the laughs and the insights of this book. Alexie does not shy away from casting judgments on both Native Americans and whites, but delves into the complicated interactions of races, history, alcoholism, disabled individuals, family, and friends. He takes a profound and unapologetic look at some of our country’s most troubling history and interrelations, raising issues wish high stakes in U.S. society today. This is a coming-of-age story that won’t soon be forgotten, and should be on everyone’s reading list. 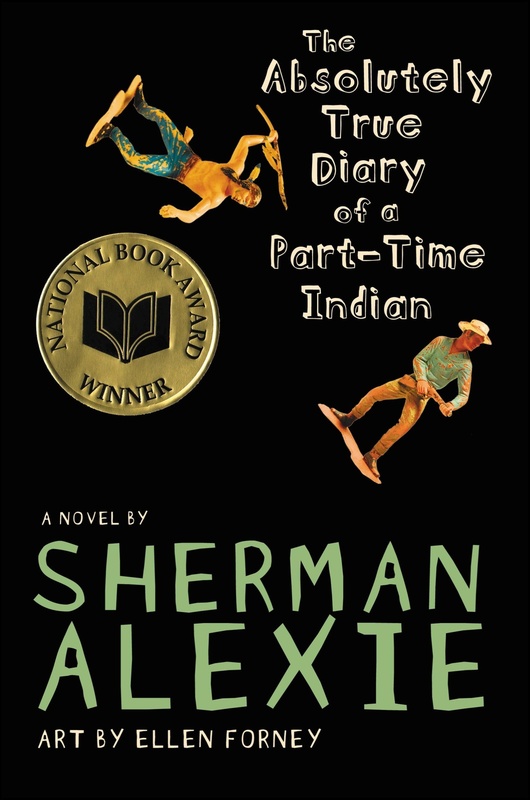 Cultural Authenticity: The Absolutely True Diary of a Part-Time Indian is, by Sherman Alexie’s own description, partly autobiographical. 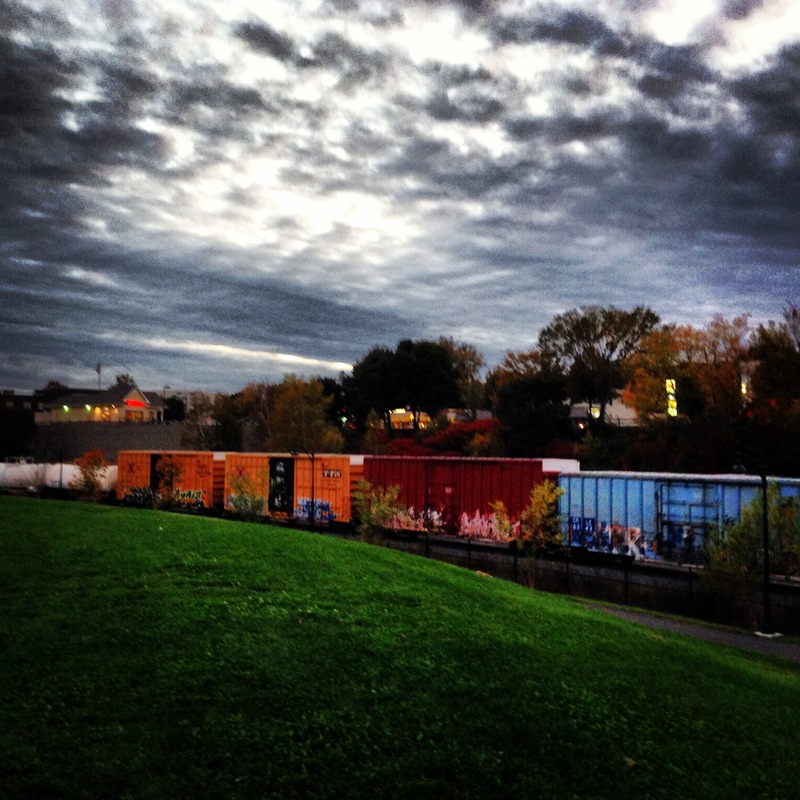 Alexie grew up on the Spokane Indian reservation in Wellpinit,Washington. Like Junior, Alexie changed schools after opening a textbook only to see his mother’s name printed in it. He, too, underwent conflicting feelings of guilt and shame as well as pride about leaving the reservation. His experiences growing up as a Spokane Indian greatly contribute to the story’s authenticity. Audience: I would recommend The Absolutely True Diary of a Part-Time Indian for readers ages 12 and up because of some of the language and sexual references. The age of the protagonist (14) also lends the book to that age group. That said, I would recommend it to any reader over the age of 12, be they 16 or 56. This book would work well in a high school classroom or as an individual leisure read. Personal reaction: I could not put this book down. In addition to Sherman Alexie’s wonderful storytelling ability, I was impressed by his careful consideration of the many layers of complicated relations and mindsets of his characters. I came to really care about Junior. The first time I read this book a number of years ago, it made me more aware of my own thought patterns surrounding Native Americans, and sparked my interest in reading about reservations today. I laughed a lot and enjoyed the provocative nature of the story and topics at hand. Hennessy, B. G. The Boy Who Cried Wolf. Illustrated by Boris Kulikov. New York: Simon & Schuster Books for Young Readers, 2006. Plot: A bored shepherd boy looks for entertainment while watching his sheep and gets himself into trouble as a result. Literary Quality: This retelling of an old fable incorporates humor and a kid sensibility into both the words and illustrations. The shepherd’s dilemma is that he is “SO bored,” and on the very next page when he decides that he is “the most bored boy in the world,” readers get a close-up view of the boy picking his nose as he kicks up his dirty bare feet. These modern touches are balanced by traditional oral storytelling elements: the boy’s tale changes just a little bit each time (from one to three wolves), and repeating phrases such as, “Munch, munch, munch. Baaaaaaaaaaaaa,” are woven throughout the story, delightfully changing to a startling “Lunch, lunch, lunch! GRRRRRRRRRRRRRRRRRRR,” when wolves actually arrive on the scene. The watercolor and gouache illustrations play with the balance of modern and ancient: the townspeople consist of folks from what appears to be every era – we see armored knights alongside boys adorned in baseball caps, sticks and rakes next to baseball bats and umbrellas. 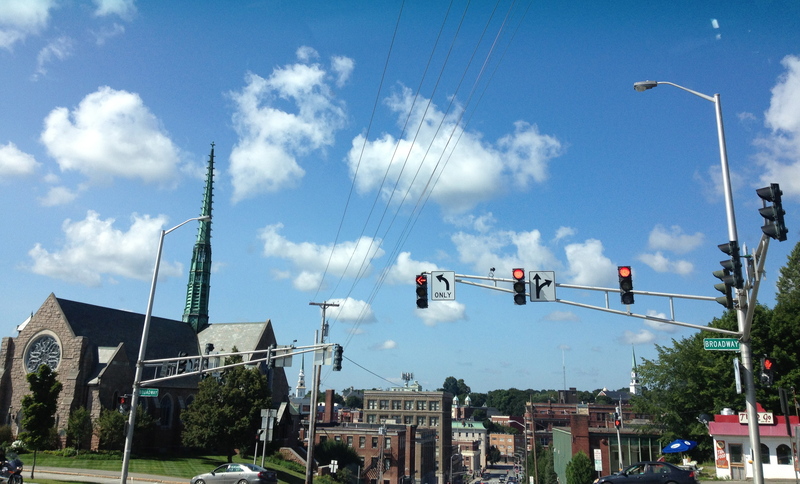 The pictures bounce us around perspectives, moving in and out and up and down. And while the text suggests the wolves might have devoured the sheep due to the shepherd boy’s negligence, the final, wordless illustration will make readers breathe a sigh of relief and giggle when they see the sheep safe if not entirely sound in the top of the tree behind the clueless shepherd. Lots of white space and a bold playful font complete the pleasant experience of this story. 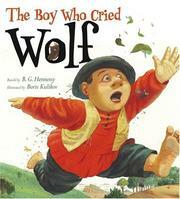 Audience: I would recommend this picture book for ages 3-8. Great for a read-alone or a read-aloud. Personal reaction: I adored this retelling of a fable that has the potential to be (in my opinion) a bit dire and a little dry. This story reinvigorates it with humor without detracting from the moral, striking the perfect balance of silliness and tradition. Stork, Francisco X. The Last Summer of the Death Warriors. New York: Arthur A. Levine Books, 2010. Plot: Pancho cannot seem to escape death. First his mother, then his father, then his sister Rosa died. And now he is stuck at St. Anthony’s, an orphanage, babysitting for D.Q., a blond, white kid who is fighting cancer and writing the Death Warrior Manifesto, an ethos for how to live. D.Q. might be a good friend, but he’s a good friend at the wrong time. Right now, Pancho just needs to find the man that he is certain killed his developmentally disabled sister and avenge her. But as the summer progresses, Pancho decides that revenge can wait as he stays by D.Q.’s side, pondering the meaning of life, death, faith, and friendship. Literary Quality: The Last Summer of the Death Warriors is a powerful story about the coming-of-age and growing friendship of two young men. As Pancho and D.Q. seek the meaning of life and death, author Stork looks honestly at teen male relationships and asks tough questions about perceptions of individuals who are differently-abled. Much of Pancho’s journey to self-discovery involves recognizing his own guilt, misperceptions, and misunderstandings surrounding his sister, who he considered childish, stunted, and incapable of making mature decisions about her own life and sexuality. D.Q. simultaneously struggles over his relationship with his mother who abandoned him years before. Between the two boys, readers get a profound glimpse at the meaning of family, both biological and constructed. In the end, Stork asks grand, sweeping questions, which he answers with nuance, subtlety, and humor. Readers familiar with Don Quixote will also appreciate echoes of that tale here. 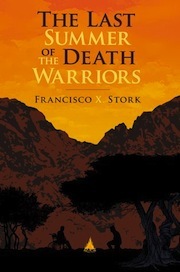 Cultural Authenticity: Francisco X. Stork clearly has a stake in the issues his novel explores. Like Pancho, Stork is Mexican American. His mother was forced to give birth to him in secrecy because of the pregnancy’s illegitimacy and his step- and adopted father died when he was thirteen years old. He also studied Latin American literature during the course of his higher education. Audience: I would recommend this book to readers ages 13 and up due to the mature themes and possible implication of sexual violence and murder. Given the almost entirely male cast of characters I expect it will have special appeal to male readers, but the story will certainly be enjoyed by young women, as well. Personal reaction: I was very impressed with Stork’s novel. I appreciated Pancho’s imperfections and his struggle to allow himself to be a good friend. Stork incorporates details about socioeconomic, racial, and physical values in our society and their implications with subtlety without underplaying their importance. Instead he suggests that a possible mix of all three sets of values and circumstances have caused the police to dismiss Rosa’s death, and have led Pancho to his current mission of revenge. The story has a lovely thoughtfulness to it. I think Stork asks questions that teens especially tend to ask themselves about the meaning of life and death, and he does not condescend in his method of asking or in his answers. Lin, Grace. Where the Mountain Meets the Moon. New York: Little, Brown and Company, 2009. Plot: Minli lives with her mother and father in the Valley of Fruitless Mountain. They work very hard, toiling in their rice fields all day long, but still they are very poor. Each evening, Minli’s father, Ba, tells her fantastic stories that sweep her mind away from their troubles. But her mother, Ma, complains about their hard life, about Ba’s stories, about everything. One day, though, a goldfish man comes into their village. His appearance and the fish he sells Minli are the start of her unforgettable adventure to find the Old Man in the Moon, an adventure that brings with it new friends, dangerous obstacles, and an abundance of stories. 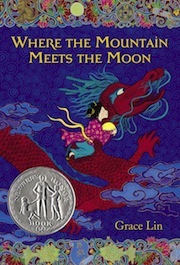 Literary Quality: Grace Lin thoughtfully combines adventure, humor, fantasy, and folktales in Where the Mountain Meets the Moon. Minli’s brave, clever, kind, and earnest character is utterly endearing. While folktales often include recognizable character types, and certainly we can identify some stock traits here (clever, wise, whiny, kind and poor, greedy, etc.) Lin has fleshed out this fantasy world and all of its inhabitants. Her graceful incorporation of stories and storytelling throughout the book weaves a stunning tapestry that finally depicts a delightful and beautiful new folktale. This tapestry is made all the more colorful by Lin’s illustrations, some of which are full-color spreads, others smaller line art in changing monotones, as well as even smaller medallions. The final effect of text and art together is one of vibrancy. This story leaps off the page and comes to life in exciting and tender ways. A tribute to storytelling in all its forms, Where the Mountain Meets the Moon is a great accomplishment. Audience: Ages 8-12, or any age thereafter. The female protagonist may attract female readers especially, but the adventures and story in general should have broad appeal. Personal reaction: Where the Mountain Meets the Moon left me feeling awestruck. Just by flipping through the pages you can see the care and love that went into this book: the illustrations, the layout, the font: it’s a beautiful book. And the story itself is gentle yet powerful. This is a book that should be lingered over. It is a book that easily lends itself to re-reading and reading aloud. I occasionally pull it off the shelf just to read one or two of the stories that Minli hears. Layered and lovely, I highly recommend it to readers young and old.